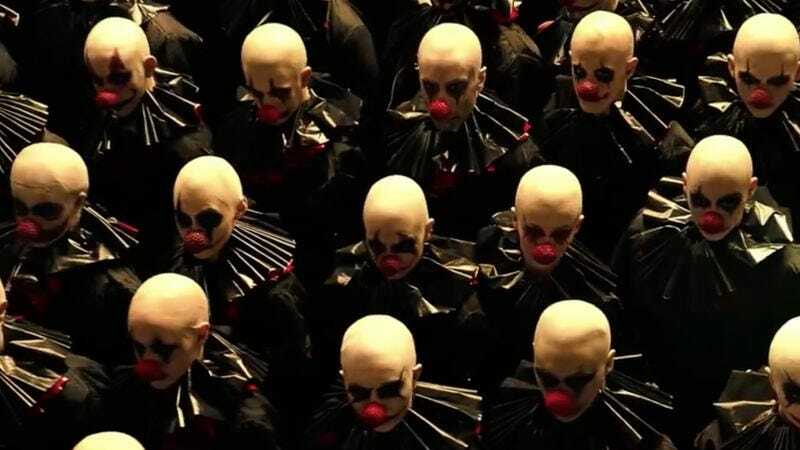 Following the latest cryptic tease from Ryan Murphy about what evil or insect would be uncovered in the new season of American Horror Story, FX has issued a press release announcing that the next chapter will be subtitled Cult. A website has been set up for the new season, with teasers that can be “unlocked” over the 7 weeks before the premiere, which has been set for September 5. With this new information, the bee photo makes a lot more sense—while presently we just use them for honey and Jerry Seinfeld-related memes, bees were once believed to sacred. And though the 21st century’s already seen one bee cult project, Murphy’s vision includes scary clowns who shoot bees out of their mouths, so you can already see this is something quite different. What will remain the same is part of the cast, which includes AHS regulars Sarah Paulson and Evan Peters, as well as Billy Eichner, Billie Lourd, and Teen Wolf’s Colton Haynes.